Shared Value Solutions (SVS) is seeking a Wildlife Biologist / Ecologist experienced at working on environmental assessments, regulatory processes, technical reviews of environmental documents, impact assessments, and community development. Some experience working with Indigenous communities on environmental assessments including the Duty to Consult, public consultation more generally, and the incorporation of Indigenous knowledge in environmental processes would be an asset. The ideal person will be highly entrepreneurial and align with our relationship-based approach to business development. SVS’s office is located in Guelph, Ontario, Canada. The position will involve some travel in Canada and to northern communities. Salary and benefits are competitive and negotiable. Indigenous applicants are encouraged to apply. Effectively managing and coordinating projects focused on technical peer reviews of regulatory environmental permitting and approvals reports and applications for pipelines, energy, mining, waste, and other major infrastructure development projects. Suggesting wildlife / ecological management, impact mitigation, compensation, and accommodation measures. Designing training curriculum for adult learners on environmental monitoring, ecological restoration and related topics. Assisting in the interpretation of “traditional ecological knowledge” and land use and occupancy research for environmental processes. Providing advice on wildlife / ecological portions of environmental assessment processes and regulatory environmental permitting. Providing wildlife management / ecology / related advice for land use planning projects. Carrying out environmental monitoring and/or providing some environmental monitor training for Indigenous community representatives. Designing and delivering Indigenous Guardian Programs. Liaising effectively with Indigenous community clients, regulators and proponents. Providing Duty to Consult and strategic negotiation advice to First Nation, Metis and Inuit community clients as needed. Willingness and interest in assisting on a wide variety of SVS projects and service offerings on an as needed basis – i.e. being a “Jack” or “Jill” of all trades. 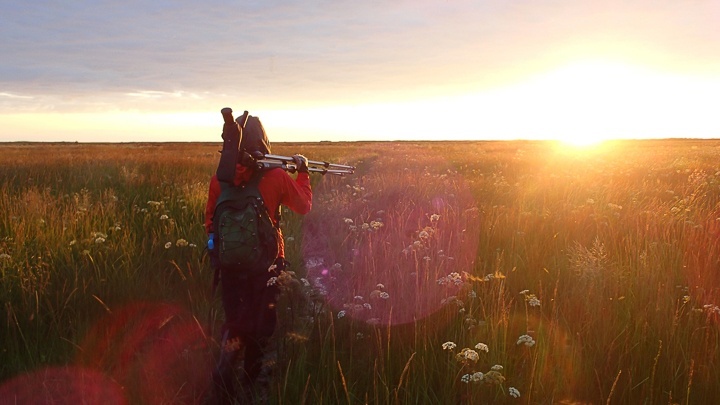 3-5 years of professional experience in terrestrial ecology/wildlife biology. Experience working successfully with First Nation, Métis, and/or Inuit communities. Strong field work skills and knowledge; including undertaking detailed baseline characterization surveys for wildlife. Experience working with and conducting surveys for species at risk. Strong knowledge of ecological restoration methods and practices. Experience designing and facilitating adult learning programs. Experience managing and conducting environmental assessments and/or peer reviews of large-scale environmental assessments in Canada. Experience working on large infrastructure projects; mining, transmission, and pipeline work. Strong understanding of Canadian federal, provincial, and territorial regulatory approvals and permitting processes. Strong project management skills and the ability to work in a team environment. Ability to plan and advocate for growth opportunities, and mentor and develop others in this practice area. Skills and experience with a relationship-based approach to business development. Excellent report writing and presentation skills and ability to communicate complex issues in plain language. High commitment to client satisfaction and doing good work. Sc, Masters or PhD in Biology, Ecology, Natural Resource Management, Environmental Planning, or similar equivalent. Asset qualifications include: land use planning, environmental monitor training, experience with planning and implementing communication and consultation programs and activities, “traditional knowledge”, land use and occupancy, GIS, community economic development, conflict resolution, capacity building / training, multimedia story-telling. Think you have other qualifications that we’d be interested in? Let us know!